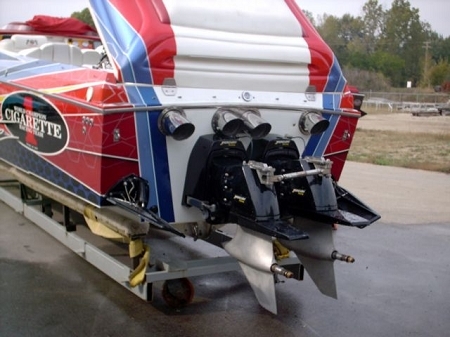 This turn key 2004 46’ Cigarette Rough Rider runs 120 + mph. 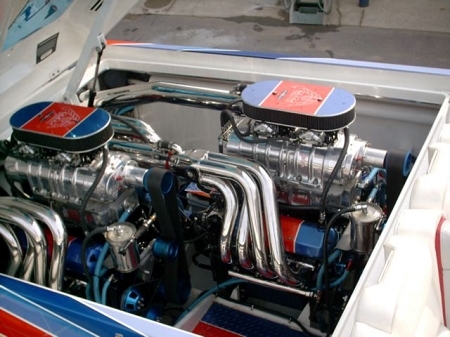 Fresh Twin Cobra 1200HP 700 Cubic Inch Engines with 6 month warranty, Mercury Racing Dry Sump #6 Speedmaster drives,Dry sump transmissions, 5 Blade Lab Finished Hering Propellers New Stelling headers w/ tailpipes. Will consider selling without power. Break in HOURS only on entire drive train! 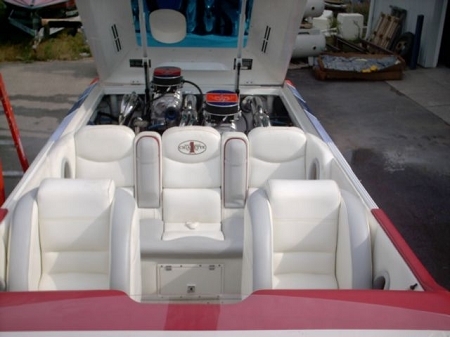 More goodies include stereo, GPS, extended cover girl cabin, Custom paint with matching dash & battery boxes. This Cigarette is ready to go and will provide years of trouble free boating. Ask for Randy, days 305-893-5018 evenings 305-343-2591 Be sure to visit http://www.cobrapower.com to view our many high performance offerings. We take anything on trade, engines, boats, drives, cars, trucks, real estate, you name it and we will consider it… Don’t forget to ask about our layaway and financing plans.